I love macro work! 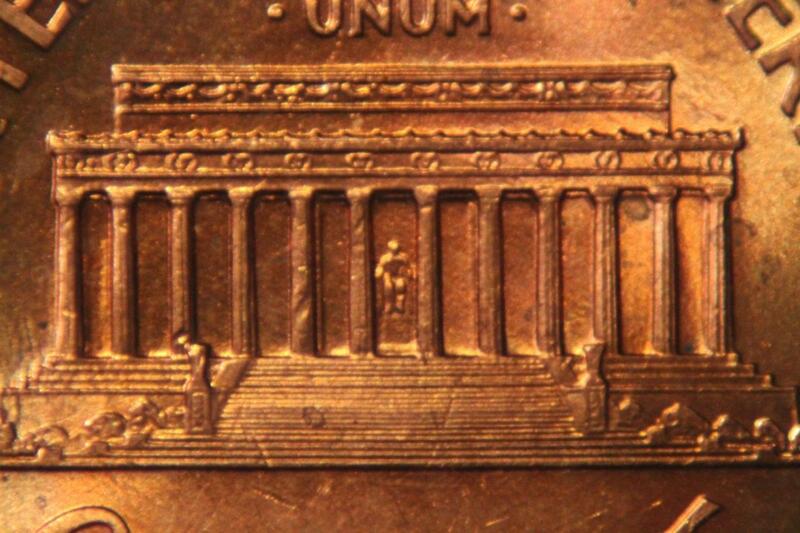 I realize a cleaner penny would have made for a better picture. Beyond that, and the fact I now realize it's a little off level, any criticism is appreciated! This image to me looks like it needs a contrast increase and a sharpen to make it pop a bit more. Is there some aspect of the memorial you wish to highlight ? 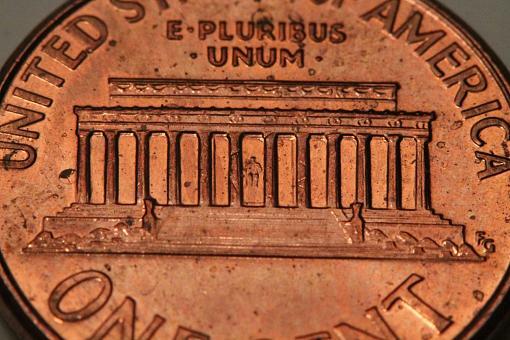 as I would like to see more of the penny, there are lots of teaser bits and pieces around your main feature. You could possibly have tried a shallower camera angle onto the penny and used a narrow depth of field to emphasise the memorial. Good idea. I can only have a narrow depth of field when focusing this close. The use of extension tubes renders my aperture adjustment useless! So it's wide open by default. Did I get that right? Large aperture = narrow depth of field and vice versa? When I come across a nice shinny penny I'll be sure and retake the photo with these things in mind. As for contrast, my post production work is basically nill. I've been using corel photo paint 8. Had it close to a couple decades now. I had downloaded GIMP, but have no idea how to use that. Should take some time and play around with PP sometime. Extension tubes require a lot of patients. This might help. I read through that thread earlier today. He was using higher end tubes. Mine are low end so no aperture setting available. But the end result is similar. I'm realizing that I need to invest in a proper macro lens for sure! 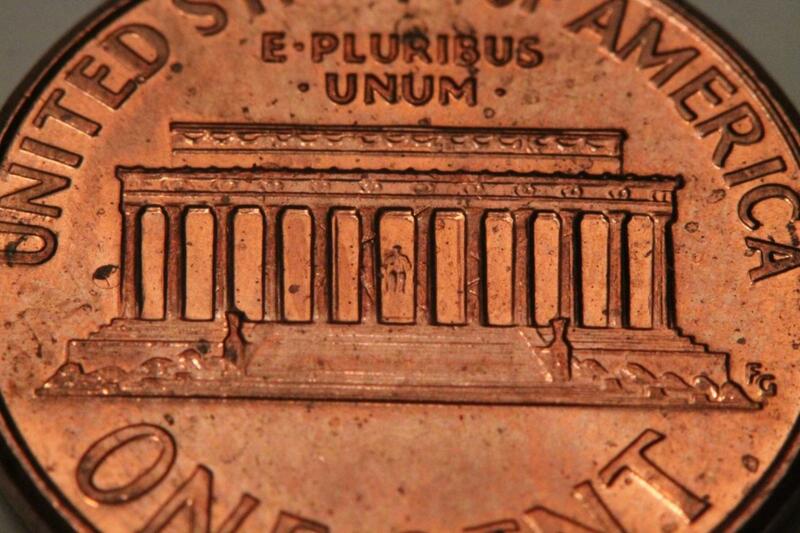 As you said get a cleaner penny, a proof or uncirculated one if possible, lighting with macro photography is hard, try shooting outside so theres no light deftly on the coin, looks great, keep up the great work !!! Better? worse? Playing around with my new lens. Left the tubes off this time. Messed around with the lighting and improved on that as well. Took a shallower angle and backed off a bit to show more of the detail around the edge of the penny, but the memorial is still the main focus. I have a proof set somewhere from my birth year. I'll have to ask my parents if they have it maybe. I really like how its old. I think you should get an older, more used one.